Happy Year of the Rooster from our sponsors at ScholarShare! G?ng x? f? c?i! This traditional Chinese New Year greeting is how you wish someone prosperity in the upcoming year. And one of the ways you bless the children in your life and help make them prosperous is by giving them red envelopes. In 2017, the Chinese New Year (or Lunar New Year, as other Asian cultures such as Vietnamese and Korean also celebrate this holiday) starts on January 28 and the festivities continue through February 11, with the Lantern Festival. Many families will have various dinners, banquets, luncheons and get-togethers during this period, so get your red envelopes ready. 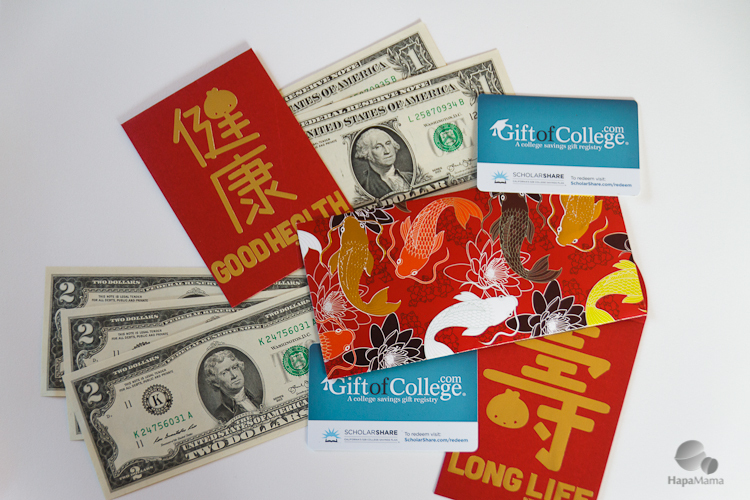 It’s traditional for married adults to give hong bao, or red envelopes filled with bills, to their children, nieces and nephews, and children of their friends. Crisp bills (some banks in areas with large Asian populations will stock them for the occasion) are traditional, and never in amounts with the number 4, since it’s associated with death. Eight is a considered a lucky number. In my family, the kids get to keep the small bills for some spending money. They know that the larger amounts get deposited into their 529K accounts to help them save for college, which in the long run, may be the best step towards wishing them prosperity. ScholarShare gift cards are an easy way to give loved ones a gift that will go towards their education in a tax deferred account. California ScholarShare gift cards are available at Toys R Us stores in denominations from $25 to $500. 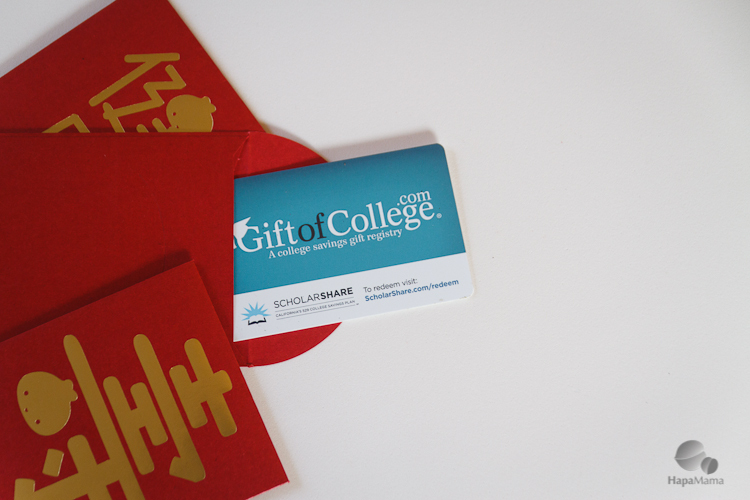 You can even purchase an electronic gift card for ScholarShare online. 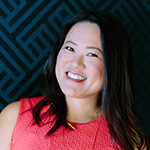 This post is sponsored by our partners at ScholarShare, but all opinions expressed are my own. Great idea to use ScholarShare gift cards instead of cash! Thanks for using Dumpling Mama lucky envelopes in the photos! Happy New Year!